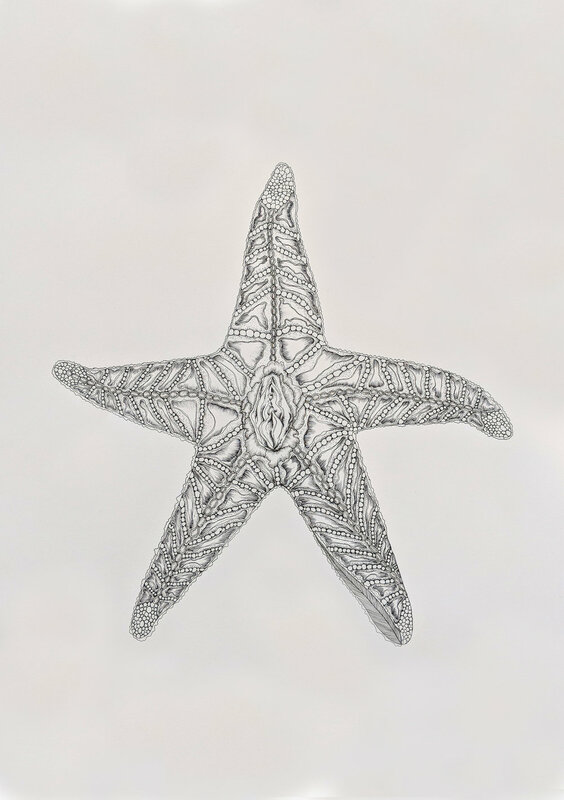 The series of line drawings utilises marine creatures to exemplify the diver- sity of female sexuality. The architypes explored include -but are not limit- ed to: promiscuity, elegance, vanity, vulnerability, confidence, intimidation. The project was inspired by the concept of femme fatale: the typical narra- tive which represents attractive women as mysterious, charming creatures who use their seductiveness to lure men into dangerous situations; hence the threatening -but sensual- nature of most of the sea animals portrayed. I chose to juxtapose such representations of the femme fatale with alternative portrayals of female sexuality, exploring sensuality through the lenses of defencelessness, timidity and open vanity.